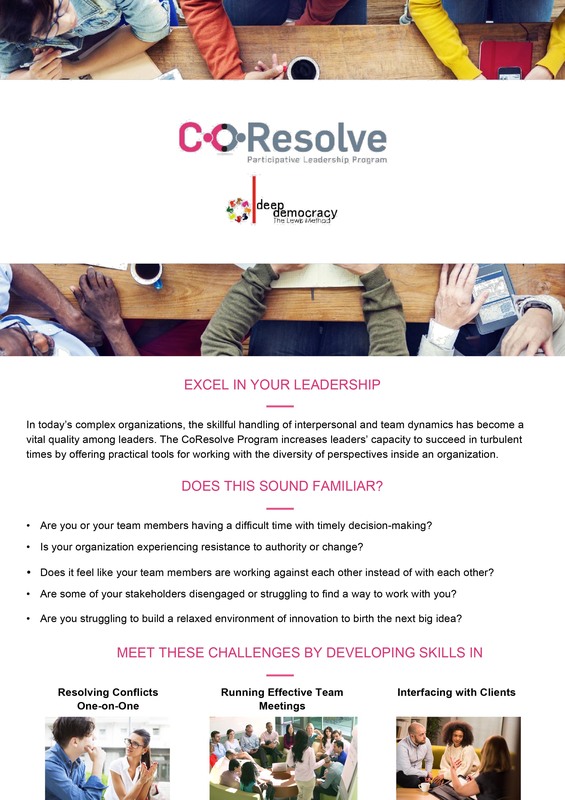 CoResolve is a 2 day course for managers and leaders who find themselves managing interpersonal, team and client dynamics. 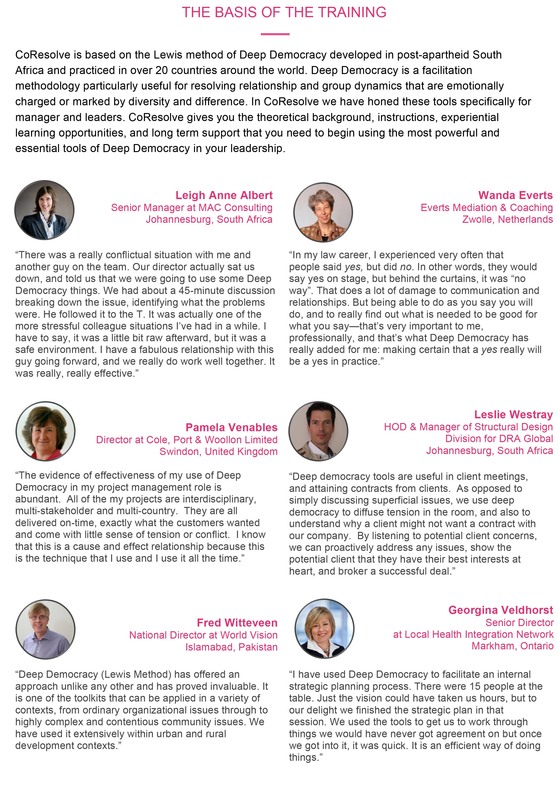 Based on the underpinnings of the Lewis Method of Deep Democracy, this specialized course covers the theory and practice of managing up, managing down and managing across within complex organizations. 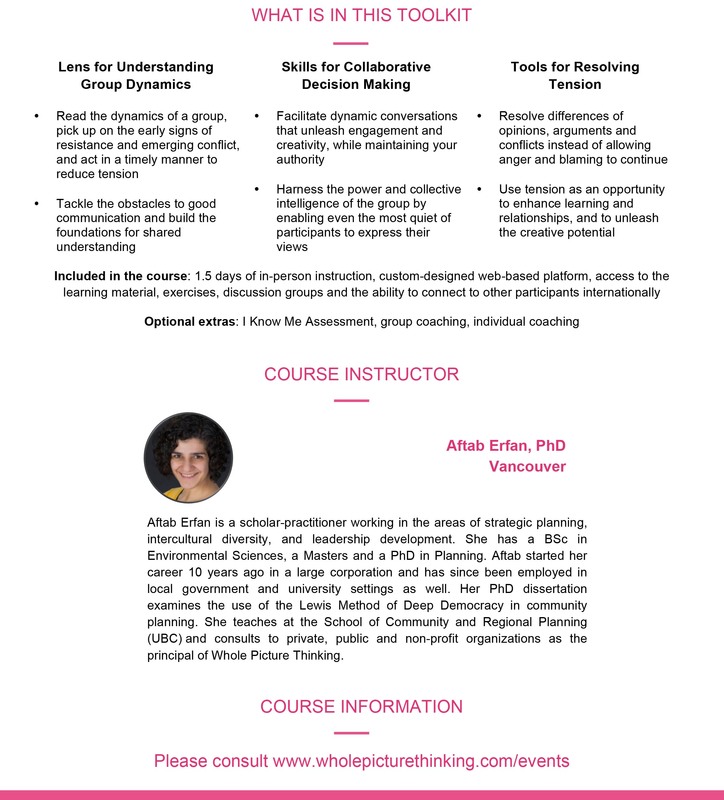 It is a highly experiential course, limited to 10 participants, applicable to both experienced leaders and emerging leaders. Please see the program information sheet for more information and click on the registration button below to sign up.